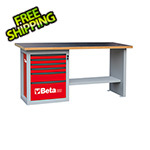 The C59 Series "Endurance" workbenches from Beta Tools are designed for professional shops and garages. 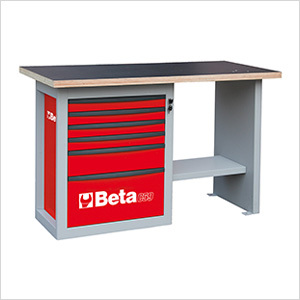 Each one combines a sturdy workbench with a legendary Beta tool storage unit for maximum utility. 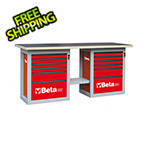 The drawers all roll on ball-bearing slides for a 55 pound weight capacity (the bottom drawer has 2 sets of slides and can hold 77 pounds). All 6 drawers lock with a single key lock for security.